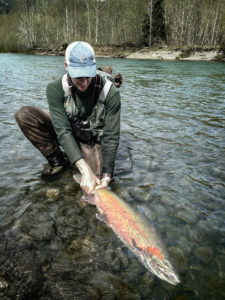 We all believe we can help recover wild runs of steelhead to fishable levels. Without supporters like these and individuals like you it can never happen. When it comes to companies who are always on the forefront of rod design and their roots based in steelhead fishing, no company in the industry stands out like Sage. 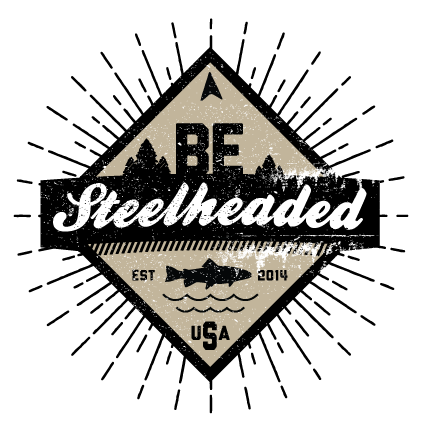 Based in a warehouse on Bainbridge Island, WA, in the heart of the Puget Sound and a short drive (or ferry ride) to some of the Pacific Northwest most iconic steelhead rivers, it is no wonder they are supporting the Wild Steelhead Initiative. Sage support comes in many ways, of coarse financially and giving of products, but they also encourage their employees to support conservation. Whenever asked the leaders at Sage make the time to come out to the important meeting in support of fisheries conservation, whether in a local meeting or the halls of congress. Their story is simple, restoring steelhead to fishable levels, helps provide over 180 jobs to people living right in steelhead country. Sage is one of the biggest conservation givers in the fishing industry. In other words they know the mouth that feeds them, strong runs of steelhead and the iconic landscapes their rods find themselves in. Without this…well let’s just say they know a good investment when they see it, restoring wild fishable runs of steelhead.